Always take a small bag or rucksack with you. 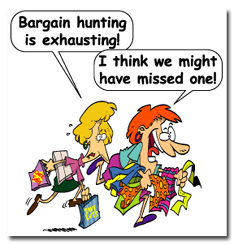 I made this mistake many times believing that it was either too late in the season to get any bargains or there won’t be any booters around because it was holiday season. Never underestimate what might be there. Park as close as you can to the car boot as is possible. Nothing hurts more than carrying round a boxed Nintendo Gamecube Donkey Konga set, as I experienced 3 years ago. You can’t always park close but if you do make a large purchase like that don’t man up and think that because you only have a few rows to go it won’t hurt. It does. Get there early. I know some of these things start at stupid o’clock but even arriving an hour after the boot starts means you are likely to have missed something. These places are full of traders and specialists who will be there when Dawn cracks. If you want the best stuff, get there early. Get in early. Almost the same as above. Don’t leave something to chance as in “I’ll come back later”. If it is something you want, buy it there and then. It won’t be there later. Use your own judgement. If you think you are paying too much for something then say so. It’s always best to barter, after all that is what car booting is all about. In most cases the seller will have added a couple of quid to the asking price so if you knock them down they are still getting a good deal. I should take my own advice sometimes – I tend to consider the price and think if it’s fair I’ll pay it. If it’s too much I’ll walk away rather than haggle. Watch out for traders. You’ll know who they are. These are the ones who have priced high and won’t move on it because then you will be eating into their profit margin. 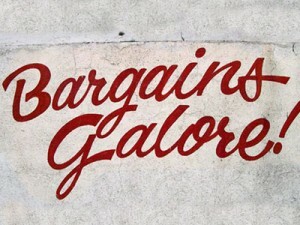 Occasionally you can get a good deal if you buy a few things but on most occasions if it is priced highly it is priced to sell and not to be knocked down. Check the condition. This is particularly with disc based games. No one is going to shout at you if you want to look at the state of a disc. If they do, then they have something to hide. Always check the contents of the box too because you might not be getting what you think you are buying, but then again I have had the odd bonus find with an extra disc inside. Be sensible. 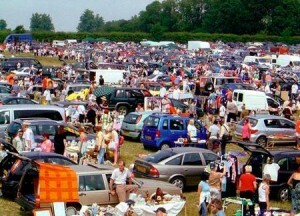 Nothing pisses people off more at a car boot than someone being aggressive when it comes to haggling on prices. It’ll get you short shrift and leaves a nasty taste in everyone’s mouth. Bite your tongue if someone is being a wanker and move on, don’t get involved and start anything. It will only end in tears. Some of these places are very well marshalled and some I have been to have police officers close at hand. Be realistic with your pricing. Not everyone goes to a booty with £100 in their pocket so just consider this if you think marking up your dusty PS2 with a few FIFA and WWE games at £25 is going to attract many buyers. It won’t and you’ll end up taking it back home. If you want to make that sort of profit then shove it on eBay. Go to a booty, price sensibly so you make a few quid and enjoy it. Beware the trader. We’ve touched on these guys before and they will become very persistent in wanting your stuff before it goes on sale. As soon as you arrive they’ll be hovering round your car, peeking inside and asking questions. You can either do two things – give in or sit inside and wait until they have gone. They’ll want your stuff and will pay only a fraction what you want for it, and you will guarantee walking around afterwards they’ll be selling it on their stall – at a much higher price than you sold it to them. Hold your ground and be strong. Be kind. If someone is trying to rip you off – and this applies to selling as well – just a few kind words and send them on their way. The last thing you want to do is get into a scrap at a booty. If they try and knock down your prices, go with it and drop if you can. If you can’t, say so and be honest. If they get all aggressive about it, just be polite. Don’t let people bully you either – after all unless you are trading or selling for charity you have your own limits set and if they don’t agree with them that is their problem. So there you go. This is not a definitive list by any standards, nor should it be taken as gospel. This is simply me passing on my experiences to you. The best advice of all, buying or selling, is to simply go and have a good day and pick up some great bargains or make a few quid. Print article This entry was posted by RetroBear on April 18, 2012 at 6:00 pm, and is filed under Everything Else, Uncategorized. Follow any responses to this post through RSS 2.0. Both comments and pings are currently closed.